The MKMVA on Friday had tried to blame criticism for his attack on former president Kgalema Motlanthe on ‘white-owned’ media. 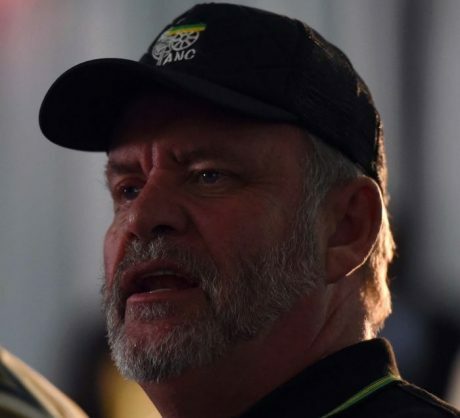 Amid the continued fallout from Umkhonto weSizwe Military Veterans’ (MKMVA) spokesperson Carl Niehaus criticism of the ANC and former president Kgalema Motlanthe, his organisation distanced itself from his remarks on Friday. Although not a public statement, The Citizen has seen a letter dated Friday sent by MKMVA acting secretary-general Moretlo Mophephe to ANC secretary-general Ace Magashule in which she says they “sincerely regret the misfortune on the matter”. The letter explained that Niehaus had not represented the MKMVA, which was not even invited to attend Wednesday’s special imbizo on land called by the king to discuss proposals to dissolve the Ingonyama Trust, of which the king is the sole trustee. Mophethe wrote that the MKMVA remained fully behind the resolutions taken at the recent ANC elective congress in December. Niehaus tried on Friday to clarify that he’d been misunderstood. He attempted to lay the blame for what he characterised as the confusion on the work of “white monopoly capital media” with an agenda against the ANC. On Thursday, ANC head of elections Fikile Mbalula had told journalists that Niehaus had been representing “his own jacket” when he’d apologised to Zulu King Goodwill Zwelithini and slammed the recommendations by Motlanthe’s parliamentary high-level panel that the Ingonyama Trust Act should be repealed. Motlanthe’s “attack on traditional leaders was entirely unjustified”, he maintained on Friday, including a description of them as “village tin-pot dictators”. Niehaus’ statement said his apology for Motlanthe’s remarks had been intended as from him personally, and not on behalf of the ANC. He called on the ANC to nevertheless still apologise to the king. ANC president Cyril Ramaphosa on Friday night personally met with Zwelithini to reassure him that neither the ANC nor government wishes to take the Ingonyama Trust land. Government on Friday announced that “a wrong impression” was created that the discussion on land expropriation included land in the hands of traditional leaders.